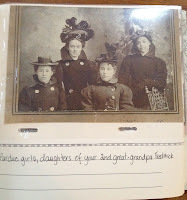 Please see the first entry and photo from Ada Harland's Diary which I began transcribing a year ago. Ada's daily entries are repetitious and brief and difficult to follow as she uses abbreviations and letters (almost like a code) probably due to space limitations. Included with the diary and photo was this letter from the man who eventually became Ada's husband. Another day has passed into the limbo of forgotten things, likewise the record of an eventful year is closed. Today your letter arrived, a letter which means so much and yet is all to [sic] brief. Would you think me rude if I condense this letter somewhat. Last night was New Year's Eve, and the boys celebrated by getting uproariously drunk, and made it an all night session. Only Rowe and myself refrained from participating in the festivities, and consequently were dubbed "Sissies". Billie Brierton [see FN 1] early succumbed to the potent libations and by 10:30 I had him into bed where he remained entirely oblivious to the racket until this morning. To sleep was out of the question, so Rowe who is laid up with a poisoned knee, and myself had a long talk, and with the exception of a trifling disturbance the night passed uneventfully. This morning the effects of the night's debauch were all to [sic] plain to see. E. Coy. [Company] cook staggered into the Cook House and asked me to get breakfast ready for his men as well as my own. All day I have done double duty cooking for 250 men practically without assistance, and to tell the truth I am just about ready for a good night's rest. Your letter makes me realize what a selfish brute I really am, here I have been writing page after page about my own disappointment at leaving you, yet never have intimated in any way, or even allowed for the possibility that you thought so well of me. What I have done to deserve such a love as yours I do not know, nor cannot conceive, to know that you love me is enough, and I will do everything I can and so conduct my life as to make myself worthy of this great love of yours. There is no danger whatever of my assaulting your friend the Orderly Corporal although my fingers itch to get a hold on him. You see it is a serious offence to strike an N.C.O. [Non Commissioned Officer] and means a long term of detention. Yes, the handkerchief bears your initial and I sahll carry it with me through the days to come, as Knights of old carried the gage of their lady love. Now dear heart I must write, goodnight and take you in my arms for that long lingering breathless kiss you wish and hold you colse to my heart for the rest of time. Sadly Billie Brierton (whose name was William) did not survive the war. His death is found in the CEF (Canadian Expeditionary Forces) War Graves. 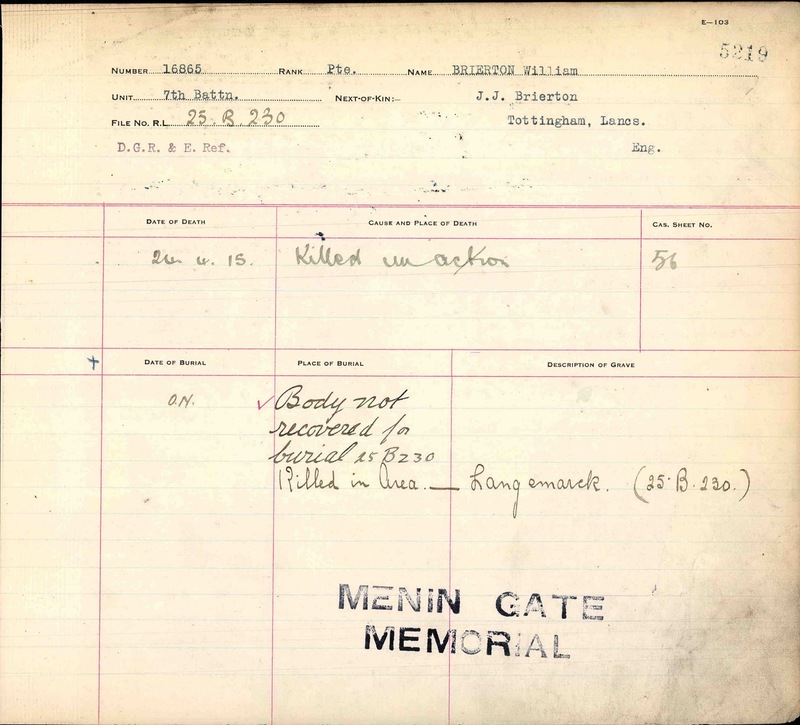 He was killed in action in France on 24 Apr 1915 and his body never recovered. 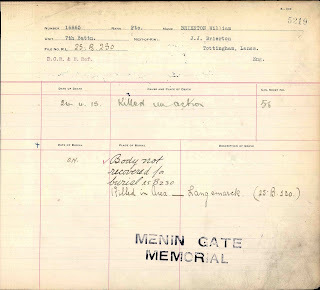 Billie's Attestation papers are online. He was 25 years old when he enlisted in 1914 and was sent to the same regiment as Bert. Continuing on from my New Year's Genealogy Resolution for 2012... I've been doing a great deal of thinking about my genealogy organization and record keeping. Basically it's about using my strengths and ignoring or working around my weaknesses! What are my strengths? I'm a very thorough and focused researcher. I'm good at finding information then taking taking that newly-found fact, analyzing it and figuring out what it means in the overall picture, and where to look for the next clue or fact. What are my weaknesses? I'm not good at data entry. I get bored and distracted easily. Okay is that the worst sin for a genealogist? 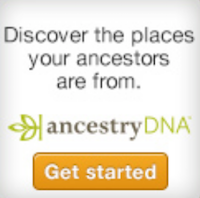 Who says I have to enter my data into a genealogy program? Or, if I choose to enter it to keep relationships straight, where is it written that I have to enter it immediately or in excruciating detail? It has finally occurred to me that it's okay to record my genealogy research in whatever method best suits me. It's important to me that I cite my sources precisely and accurately and that I know where every single piece of information came from. But there's no genealogy law stating I have to type out every word from every birth registration or census record or death certificate. And so it's okay to print off or photocopy all the records I find, note the source (in detail!) neatly on the paper, then file it using whatever filing system best suits me. I like to record the names of individuals in my genealogy program so in the Notes section for that person, all I need do is type a notation such as "Birth Registration copy in File Folder A" where "A" is the name I've given that file folder (or binder) I can also point to digital copies of the noted record. What a liberating moment! I've given myself permission to enter details as and if I wish. Yes I will continue to carefully note sources but I no longer feel compelled to record every word in each record twice - once on paper and once in my genealogy program. I've made my decision. I'll use my genealogy program to give a one line summary of the record I found, and a pointer to where the copy of that record is in my digital or paper filing system. I may give a brief synopsis of the new fact but if I don't think it's necessary, I won't bother as the paper record is there at my fingertips for reference. I'm also going to start setting certain days or half-days each week for specific projects. This will work within my habit of jumping from Project to Project. But with the added structure of an established weekly time period I am much more apt to complete each project in turn. 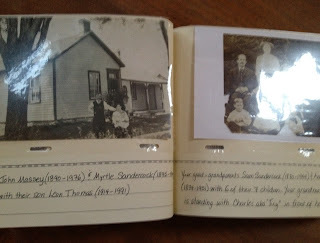 For example I'm working on a book on involving children in genealogy so I'm going to structure one day a week for that. For my project to create video tutorials on dating old photographs which I'm creating for the Olive Tree Genealogy channel on YouTube I'm setting aside one day a week until the set of videos is completed. A half-day per week will be allotted for organizing my digital files. That's a job that badly needs doing but I keep putting it off, or I make a half-hearted stab at it but never really stick to it. But I know myself well enough to know that if I make it a bit easier on myself, I can do it. It's much easier to stick with a task if I say "I am going to spend one hour cleaning the bathrooms today" then if I look at the bathrooms and think "Wow these need cleaning but it's going to take me several hours to do a good job" By the way we have four bathrooms in our house so it can be a pretty big job. I find that if I tell myself I only need to spend ONE hour at a task, I often go beyond that time once I get into it. This also works great for non-genealogical and boring tasks such as exercising. 2012 - bring it! I'm ready for you. Every year I set my genealogy resolutions. Jan. 2011 Resolutions consisted of one goal - seemingly a simple goal. That goal was to stay focused on one genealogy project at a time. I didn't meet it. In fact I didn't even come close. I tried. Believe me I tried. But if there's one thing I learned from this "failure" it's that I am an impulsive genealogist. I get side-tracked easily. Repetition bores me, so a project that begins as a fun genealogy project quickly becomes a tedious task for me. I love the challenge of the hunt! I grit my teeth when I reach hour 3 or 4 of entering the information that I found in my research. I can happily spend 10 hours researching and not notice the passage of time. But show me the results of my 10 hours of research and tell me it's time to enter all that data, and the moaning and groaning and whining begins. So much tedious time-consuming W O R K when I could be having F U N doing more research, finding out more about these new ancestors! Let's look at a few examples - I started a project to look through Poor Law Union correspondence and extract the names of poor people being sent from England to Canada in the mid 1800s. Then I did some research in census records to find more information on these individuals. It was so much fun. What wasn't fun was organizing it and creating the webpages to put it all online! I did finally finish it but only through sheer will power and a lot of stern scolding from myself to myself. While working on the Poor Law Union records, I began concentrating on putting all my old cemetery photos into videos for Olive Tree Genealogy YouTube Channel. I love doing that. But that's my problem - creating Cemetery Walks became my "break" from the Poor Law Union records. Poor Law Union boring me today? - no problem, set it aside and work on the Cemetery Walk videos. Oh, that's boring me now because I am trying to find all the photos from 3 years ago? Okay take a break from that boredom and scan my family photos. Oops, two months has gone by and I haven't gotten back to the Poor Law Union records - ack! You see my conundrum. I jump from task to task. When task A becomes boring to me I'm off to Task B. Then C and D and.... on and on it goes! And so I end up with anywhere from 10 to a dozen genealogy projects on the go all at the same time. I've fought this all my life. But I've finally learned something very important! I need to work WITH my strengths, not against them! Instead of trying to become what I'm not, I need to focus on what I am. That way I can improve in my strength areas instead of fighting my own nature all the time. What are my strengths? I'm a very thorough and focused researcher. I'm good at finding information then taking taking that newly-found fact, analyzing it and figuring out what it means in the overall picture, and where to look for the next clue or fact. I also work well with a deadline. What are my weaknesses? I'm not good at data entry. Repititous tasks bore me. I skip over tasks I find boring, setting them aside for "later". But "later" doesn't always come! And so I've not only come up with what I believe are more realistic 2012 Genealogy Resolutions, I've also come up with a new method of organization of my genealogy. I'll write about that next week so please do come back, read my idea and jump in with your own ideas, suggestions and thoughts! The first-ever Genealogy Idol competition will take place during the RootsTech conference on Thursday, February 2, 2012 in Salt Lake City, Utah. Anyone can participate regardless of where they live or whether they attend the conference. Four contestants (2 live at the conference and 2 online) will compete (apply below to be a contestant). In the three rounds of competition, contestants will demonstrate their gen-tech expertise and try to woo you with their favorite gen-tech secrets. Everyone will learn - but only one will leave with the title of "RootsTech Genealogy Idol 2012." For more details click on the link for Genealogy Idol competition at the start of this blog post. Did Santa forget to leave you a Flip-Pal Mobile Scanner this Christmas? Don't worry, you can get one at a special "All I Wanted For the Holidays" reduced price! Just use this Flip-Pal Mobile Scanner link and the coupon code below to get your special price for the Flip-Pal Mobile Scanner. "All I Wanted For The Holidays" coupon code is: AIW11A. It’s good for $15 off the purchase of a Flip-Pal Mobile Scanner or— $20 off the purchase of a Flip-Pal™ mobile scanner with Creative Suite Craft Edition DVD. The coupon is good from December 26, 2011 to January 8, 2012, or while supplies last. Did you write Dear Santa letters as a child? Did your children? Mine did. I still have one that my oldest son wrote when he was five years old. But recently a letter to Santa written 100 years ago, on Christmas Eve 1911, was found stuffed in a chimney in a house in Ireland. A brother and sister - Hannah 10 and Fred 7, wrote the letter and stuffed it in the chimney for Santa to find on his way down on Christmas Eve. It lay undisturbed except for a bit of scorching from fires lit in the fireplace, until 1992. Can you guess what I'm getting for Christmas? Another descendant! Baby Schulze will be joining the ranks of lineal descendant of me, Lorine McGinnis Schulze, on January 2, 2012. It's a boy so as of January 2nd I will have 7 grandsons and 3 granddaughters in my line of descent. Surely at least one will be a genealogist? What a lovely gift - thank you to my son and his wife! PBS History Detectives is close to solving another historical mystery but need your help to crack the case open. If you live in the Boston area, they are looking for a sleuth to do some research at the Massachusetts State Archives next week. Hey SEC do you need a genealogist on staff? Is the Securities and Exchange Commission becoming interested in genealogy? Because of a new regulation for hedge funds which will take effect March 2012, the SEC has come up with a definition of "family members"
You get the idea. It's pretty much open-ended. For example, one of my ancestors going back 10 generations is my 8th great-grandpa Jacques Cornelise Van Slyke who was born circa 1640 in New Netherland (present day New York). Can you imagine how many descendants there are? So a hedge fund manager would be smart to contact a genealogist like me who has researched the Van Slyke descent from Jacques to the present day. Think of all the potential investors' names I could give them! The first question that came to my mind was - who on the SEC is going to verify that an investor is indeed a lineal descendant of a common ancestor 10 generations back? Do they have a permanent genealogist on staff? Also, does a hedge fund manager have to provide primary documents proving the lineal ancestry of each of his/her investors? It sounds similar to submitting an application for DAR membership, or acceptance of a Loyalist or Metis ancestor! Or can a Hedge fund manager make the claim that each of their investors are indeed family members, and the onus is on the SEC to prove otherwise? Hey if there's an opening for a genealogist or two or three at the SEC, I'm available! And I know many other genealogists who'd be perfect for the job. 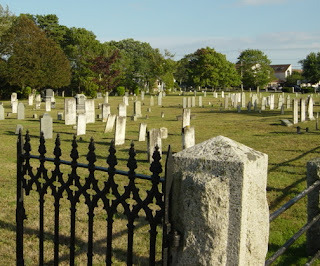 With thanks to Laurie Bennett of Forbes.com who told me about the SEC definition of family members and sent me a link to her article "The Family That Hedges Together...."
Fraserville Cemetery is now online at Olive Tree Genealogy YouTube Channel. Join me for a Cemetery Walk of some of the tombstones in this Cemetery. SALT LAKE CITY—Three leading genealogy organizations, Archives.com, FamilySearch International, and findmypast.com, announced today they are joining forces to launch the 1940 US Census Community Project. The ambitious project aims to engage online volunteers to quickly publish a searchable, high quality name index to the 1940 US Census after it is released in April 2012 by the National Archives and Record Administration of the United States (NARA). The highly anticipated 1940 US Census is expected to be the most popular US record collection released to date. Its completion will allow anyone to search the record collection by name for free online. Learn more about this exciting initiative or how to volunteer at www.the1940census.com. The 1940 US Census Community Project is also receiving additional support from leading societal organizations like the Federation of Genealogical Societies, National Genealogical Society, and Ohio Genealogical Society. The population of the US in 1940 was approximately 130 million. NARA’s census images will not have a searchable index. The goal of the 1940 US Census Community Project is to create a high quality index online linked to the complete set of census images as soon as possible. The index will allow the public to easily search every person found in the census and view digital images of the original census pages. The collection will be available online for free to the general public at Archives.com, FamilySearch.org, and findmypast.com, the sponsors of the community project. This new collection will open access to family history research like never before for this period in the US. “The 1940 Census is attractive to both new and experienced researchers because most people in the US can remember a relative that was living in 1940. 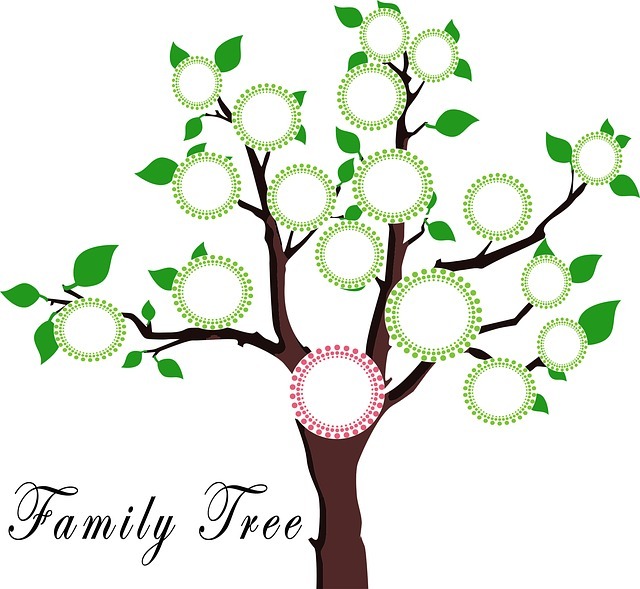 It will do more to connect living memory with historical records and families than any other collection previously made available,” said David Rencher, Chief Genealogical Officer for FamilySearch. The collaborative project will also pool the collective resources, know-how, and marketing reach of Archives.com, FamilySearch, and findmypast.com to engage and coordinate the volunteer workforce needed to deliver the ambitious project. Additionally, Archives.com and findmypast.com will make substantial financial contributions to make the 1940 US Census online name index possible and work with nonprofit FamilySearch to bring additional new records collections online—making even more highly valued family history resources available to the entire genealogical community. The new MyHeritage app for iPhone, iPad & Android was finally released today, after months of hard work by our really wonderful team, to help get MyHeritage users the best family tree app in the industry. Version 1.0 includes an HTML5 version of the family tree with profile pages designed especially for mobile, photo-sharing feature that syncs with your family site and a cool celebrity look-alike feature (aka MyCeleb). You can read more about the current version on www.myheritage.com/mobile. Next versions will add more and more great features, starting with editing of the tree straight from your mobile device and followed by everything you love about MyHeritage. 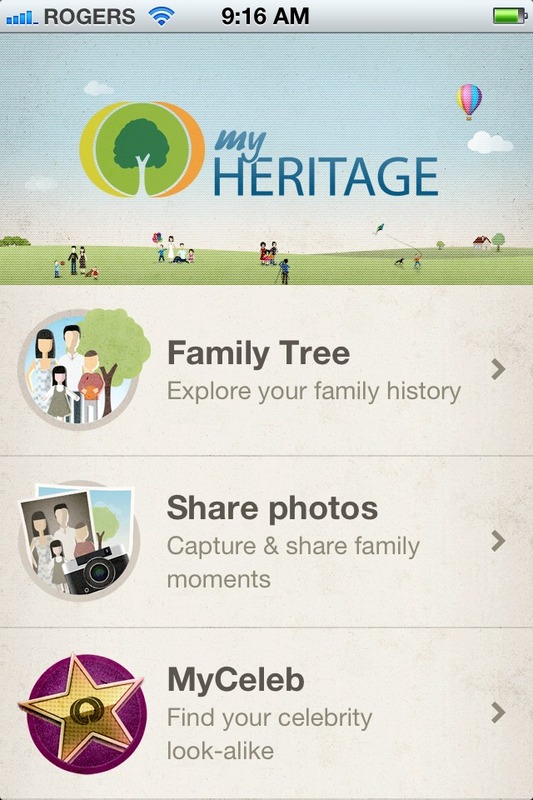 I'm not a member of MyHeritage but I downloaded the app to my iPhone to have a look. I can't use the first two features (Family Tree and Share Photos) without signing up on MyHeritage. But I did have a lot of fun with the third choice -MyCeleb. When you choose MyCeleb you have a choice to choose an existing photo or take a new one. I chose to take one. After I took it, a popup explained that the photo would be uploaded to MyHeritage for processing but then deleted. I okayed the upload and waited. It took only a few seconds and my matches showed. 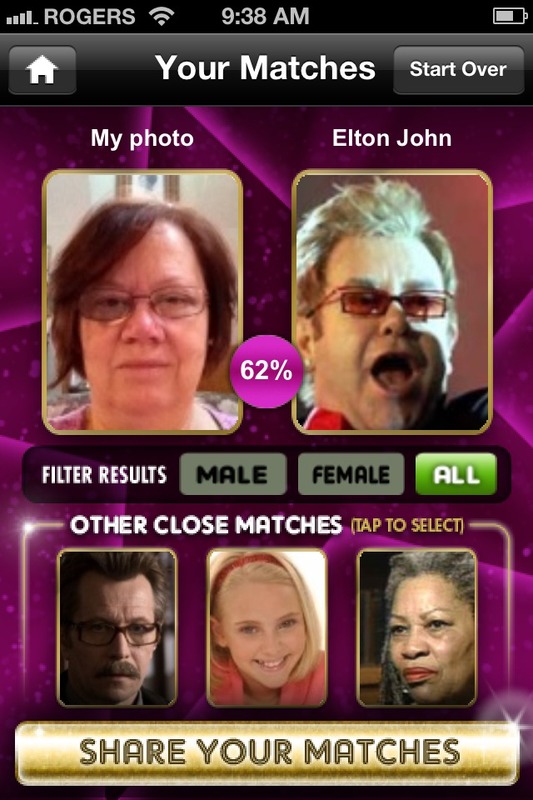 I had a good chuckle as my best match was with Elton John! But I can kind of see why - my photo looks like your typical driver's licence mug shot and I have no makeup on! I did have fun though, trying different photos and angles to see who I'd be matched with. I liked it when MyCeleb matched me with Jessica Lange - I must remember to always pose that way. Then I tried hubs and he got some very flattering matches - Patrick Stewart and Mel Gibson were his top two. Anyway it really was fun and I think the more serious part of this app will almost certainly be helpful to genealogists. Genealogists who use the free online SSDI (Social Security Death Index) to find ancestors may have a tougher hunt ahead. In the past, genealogists could access the SSDI through numerous websites - Ancestry.com , Rootsweb.com, GenealogyBank and others. But concerns arose that the Social Security Numbers given with the SSDI were being used in Identity Theft scams and U.S. Senators blitzed these websites to request that they stop displaying this information. In the face of mounting pressure, many of the genealogy websites caved. This week, many of the sites withdrew access entirely (Rootsweb for example withdrew the SSDI completely) or blocked access so only paying members could view the details. Ancestry blocked access by putting the database behind its subscrption membership wall and will no longer provide the Social Security numbers for anyone who died in the previous 10 years. Genealogy Bank still has free access to the SSDI but you must register with a name and email to view the data. It seems quite a leap to me to make the assumption that thieves were using the SSDI to gather Social Security Numbers. I'm quite sure they found much faster and easier ways to get these numbers. And so the genealogy community is forced to watch as the SSDI slowly disappears, either behind closed membership walls or removed completely. Is this yet another example of a few bad apples spoiling it for the rest of us (genealogists)? For more articles on this topic see Website stops displaying Social Security numbers for recently dead and Stealing from the dead. Jim M. recently wrote to me about his website. If you haven't found it yet, and you have New York ancestors, you're in for a treat. Jim has been uploading the Historical Records Survey of New York City church records published in part by the W.P.A. (Works Projects Administration). So far he has completed 3 volumes in the series including those for the Roman Catholic Church, the Reformed Church of America (DRC), and the Protestant Episcopal Church. Update on Case #8: Soldier's Dog Tag Returned to Family! 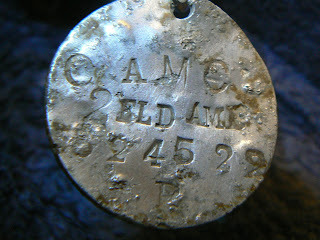 One of the missions of Olive Tree Genealogy is to reunite found Dog ID Tags of soldiers with their descendants. To date my readers have worked on several cases and been successful in reuniting soldiers' dog id tags with family members. 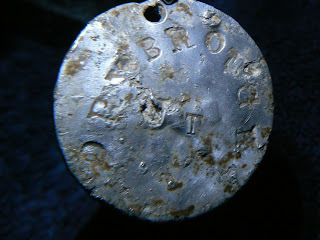 I have an exciting update on Case #8, that of Samuel Loftus' found dog tag from WW2. The dog tag arrived safe and sound at the home of his daughter this past weekend! What a wonderful Christmas gift for the family. Samuel's grandson idolized his grandpa and is thrilled to have the dog tag in the family's possession. We still have more cases coming in and we have old cases that have not yet been solved. If you have a moment would you read through one of the open cases and help find family? Donegal Cemetery is now online on Olive Tree Genealogy YouTube Channel. There are 8 videos consisting of a total of 417 tombstones in this cemetery. Join me for a Cemetery Walk through Donegal Cemetery! Here is Video 1. To see the others, please go to Olive Tree Genealogy YouTube Channel. What do RootsTech and Books Have in Common? Question: What do Rootstech and books have in common? Rootstech 2012 is less than two months away. 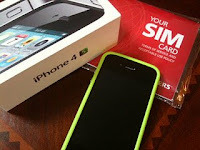 I'm excited about going and being an official blogger again. But recent events have dismayed many in the genealogical community. Since I believe that my role as an official blogger is to report the news about Rootstech, here's my take on recent happenings. RootsTech exhibit hall is for technically related products and services. We are purposefully not accepting applications from genealogical studies, book publishers, book resellers or arts and crafts dealers. My first reaction was disbelief. Rootstech is a genealogy-technology conference. In my mind it's about the marriage of the two, not the exclusion of one in favour of the other. Reaction from the genealogy community was swift. And heated. Speaking for myself I felt that some went overboard with a very hasty knee-jerk reaction. I heard cries of "boycott Rootstech!" and "what is this, 1984 and George Orwell?" Even though I don't agree with the decision made by Rootstech organizers, let's be fair about this. Rootstech is not about banning books. They made a decision (however wrong we may think it is) to keep the exhibit hall strictly technical. That doesn't mean they are against books nor does it mean they are up to no good! As for calls to boycott Rootstech, that's akin to grabbing the tar and feathers without allowing the "accused" to respond. It's the weekend. Rootstech folks work Monday to Friday. So how about waiting until they've had a chance to respond to the outcries? Let's hear what they have to say. Thanks for all of your comments and concerns related to book vendors being present at RootsTech. We are listening and are going to revisit this issue. It's easy to see that a number of people don't think that excluding print products from the exhibit hall experience is the right way for RootsTech to demonstrate a focus on technology or to distinguish itself from other conferences (which I believe was the reasoning behind the decision). I think in that meeting they missed the point entirely - that Rootstech is a marriage or union of the two fields - genealogy and technology. It's not about exclusion. It's about unity. The response though shows me that the organizers are listening, and it explains why they made the decision to not allow book publishers in the hall. I'm glad they are going to take a closer look at that decision and I hope they will retract it. I wish they had thought to use the Rootstech official bloggers as a sounding board before going public with this decision. What a great resource they are missing out on - we bloggers in the genealogical community! Presumably we have a pretty good understanding of the wants and needs of the community. I think they also overlooked the fact that most genealogists attending a conference expect and WANT to find books that will help them, either in their personal research or in understanding the emerging technologies! So yes, I think Rootstech staff goofed. They also sent out their email to book publishers on a Friday and therefore weren't around to see the enfolding genealogy storm and respond to it quickly. But they sure got to see the power of social media in action! While some of the calls to action from the community were a bit over-the-top for my liking, I'm glad to see the community rally behind the book publishers and vendors. Should the Genealogical Community Respond? Yes. Make your opinions known. But please - let's not yell at them and call them names or make threats. Rootstech 2011 was an amazing conference. I learned a lot and I am still excited to go in 2012. My grandmother used to say "Don't throw out the baby with the bathwater" - an old expression but it fits. Make your views known in a polite and concise way to Rootstech organizers. They need to know how this affects us. But then wait for a response and try to remember that we're all human and they simply made a mistake. And remember too that they may not reverse the original decision. I hope they will. However even if they don't, I'm not throwing out the baby with the bathwater. I'm still attending and looking forward to learning a ton of new stuff, meeting other genealogists and having a fun and educational time. Are you thinking about going to the National Genealogical Society 2012 Family History Conference? It's in Cincinnati Ohio May 9-12, 2012. 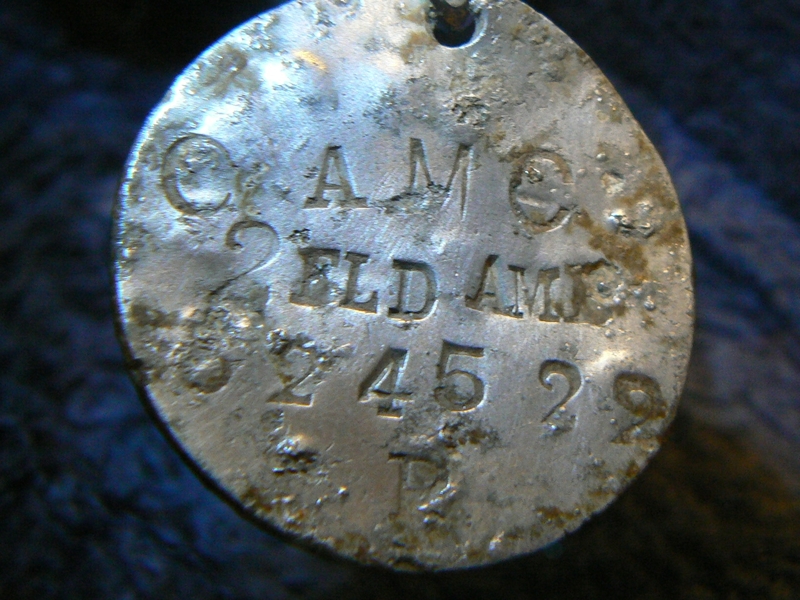 Case #11: A Canadian WW1 Soldier's Dog Tags Need to Go Home! Ray wrote to Olive Tree Genealogy blog with a question - could I help him find family of a Canadian WW1 soldier whose dog tags were found in France. I received an e-mail from someone in France that had found a WW1 dog tag for a Canadian soldier, he contacted me because I am a distant cousin of the soldier and he wondered if I knew of any living descendants. John served in the first World War in the Field Ambulance Corp, the ID tag was found in France. I’ve attached photos of both sides of the tag. John and Florence had a daughter Jean, no further information. She married Ted Hanson and they had a daughter Jean Sandra. That’s all I can find out about them. John also had a sister Elizabeth that married Joseph Walter Sanford, somehow they ended up living in San Francisco where they raised a family. Have you been wishing for a Flip-Pal Mobile Scanner for Christmas but worried that you shouldn't spend the money right now? This coupon is good from December 5-18, 2011 or while supplies last. 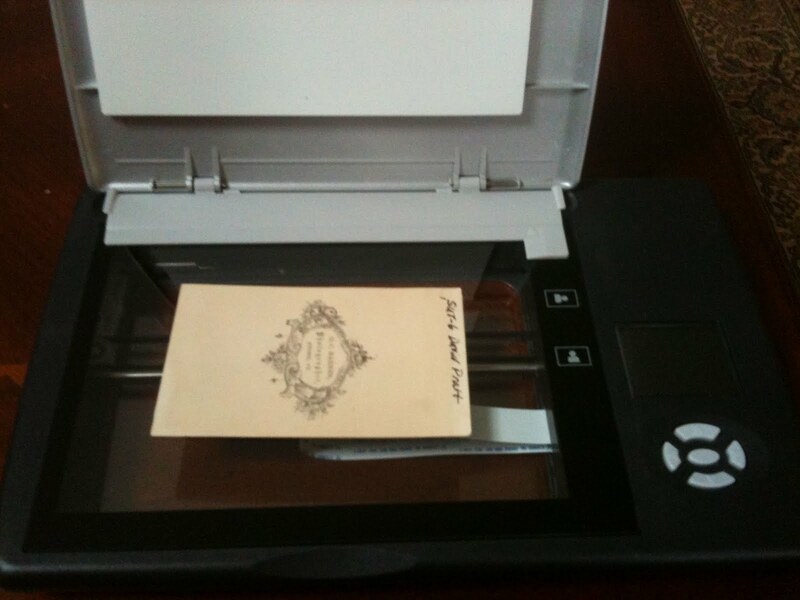 I've been using the Flip-Pal Mobile Scanner for a year now and absolutely love it. 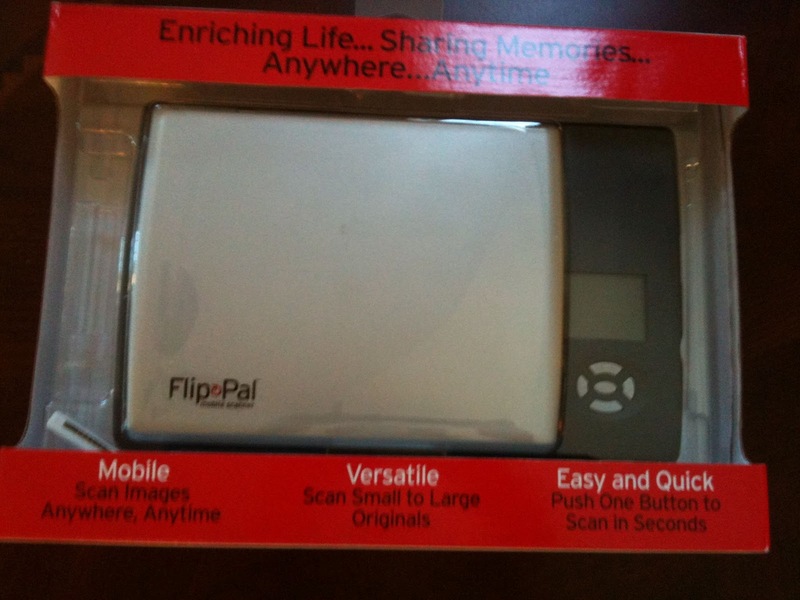 Remember - use this link for a Flip-Pal Mobile Scanner and give your Home for the Holidays Coupon code HoHo11A. This coupon code is for 10% off the purchase of a Flip-Pal™ mobile scanner or a Flip-Pal™ mobile scanner with Creative Suite Craft Edition DVD. December 7, 1941, "a date which will live in infamy," is seared into the American psyche as the day the Japanese attacked Pearl Harbor and took the United States into World War II. That immortal phrase was delivered the following day by President Roosevelt in an address to Congress and the nation. He predicted that "always will our whole nation remember the character of the onslaught against us." This year, on the 70th anniversary of the Pearl Harbor attacks, Americans continue to remember the shocking event and the loved ones who lost their lives that day. It was a tragedy that affected millions of lives. Many people alive today have a personal connection to December 7, 1941, and there are many more who lost fathers, uncles, grandfathers, and friends, or heard stories about that day and its aftermath from those who lived through it. At Fold3 , we keep history alive and provide personal perspectives to the past through tributes left by others. We invite you to leave a tribute on Fold3 on the USS Arizona War Memorial. Share a story, link to a photo or letter, and bring your memories to others so we may all continue to remember. Stuck for a Christmas Gift for a relative? Starting to panic when you realize your aunt is coming to visit in two weeks and you need to find a gift for her before then? Here's a simple idea for a very nice (but fast and easy!) Christmas gift. We're making this one for my husband's uncle for Christmas. Step 1: Flip-Pal Mobile Scanner, get comfy on your couch or recliner and start scanning 25 to 50 of your family photos. Make sure the photos have a connection to the person you're going to give this present to! Step 2: Import your photos to your computer. Crop or straighten or do whatever is needed to your scanned photos. 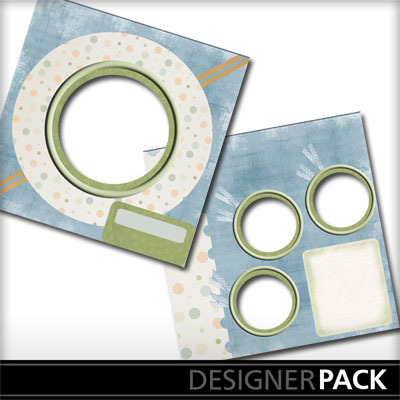 Then print them as size 4x6 inches on best quality paper. 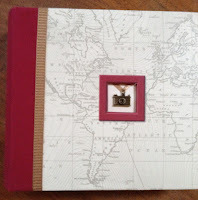 Step 4: Place your scanned and printed photos in the album and then write a description of each photo on the album pages. Step 5: Write a nice inscription inside the front cover, place the album in a Christmas Gift Bag and you're done! Join Olive Tree Genealogy on two Cemetery Walks today: Videos 4 & 5 of St. Paul Cemetery in Oakville Missouri. We have Bobby R. to thank for these photos as he accepted my "Give 15 Minutes" Challenge in October - to give 15 minutes once a month to take photos of tombstones in a local cemetery. Bobby gave up more than 15 minutes and sent me a few hundred photographs of St. Paul Cemetery in Oakville Missouri. These will be going up on Olive Tree Genealogy YouTube Channel as I complete them. PROVO, UTAH – (December 2, 2011) – In remembrance of the 70th anniversary of the attack on Pearl Harbor, which marked the United States’ entrance into World War II, Ancestry.com (Nasdaq: ACOM), the world’s largest online family history resource, today announced it is offering six days (December 2-7) of free access to its entire World War II Collection. One in five Americans is a direct descendant of a WWII veteran, with four out of five having a WWII veteran in their families, according to research done by Ancestry.com. The Pearl Harbor attack spurred millions of Americans into military action. By the end of the war, nearly 16 million Americans had served in the U.S. Armed Forces - more than a quarter in the U.S. Navy. Carol Horner-Iacona of San Marcos, Texas has utilized the U.S. Navy Muster Rolls to create a book of memory honoring her father who served as a Seaman First Class V-6 aboard the U.S.S. Helena, which was torpedoed on the morning of December 7th in Pearl Harbor. Charles Horner, now 91, was unable to speak of his experience in the war until recently. The records Carol has uncovered have helped fill in the gaps to a family story she hopes is never forgotten, including more than a dozen records of his service during WWII, including the Muster Rolls detailing his post on that fateful day at Pearl Harbor. National Memorial Cemetery of the Pacific (Punchbowl Cemetery) Database- This collection contains more than 120,000 records from 1949 to 1976, including headstone images and photos of names on war memorials. Seven hundred veterans who died in the attack on Pearl Harbor are buried at the Cemetery. This is the second largest final resting place for crewmen who lost their lives on December 7, 1941, the primary resting place being the USS Arizona Memorial.Together these two locations comprise the majority of the 2,402 Americans who died in the attack on Pearl Harbor. Also buried at Punchbowl Cemetery are veterans of the battles of Iwo Jima and Okinawa. This unique collection is available only on Ancestry.com and offers families the opportunity to pay their respects and discover information about their ancestor’s final resting place. U.S. WWII Young Men’s Draft Cards -This collection includes draft cards from theseven draft registrations held between November 1940 and December 1942. Because of privacy laws, information on most of these registrations was not previously available to the public. The first installment of these cards includes almost two million filled out by men living in North Carolina who were born between 1897 and 1929. Olive Tree Genealogy's Challenge for November was to give 15 minutes of your time to photograph a local cemetery, then send the photos to me to put online for all genealogists to see. Now for December - are you ready to accept a new Genealogy Challenge? Since December is traditionally a special holiday season (Christmas, Hanukkah, and so on) my challenge to you is to recreate a special holiday tradition from your childhood. Every Christmas my dad would buy a huge assortment of nuts - a very special treat. He'd place them in a big bowl by his chair along with his metal nutcracker and pick (which I still have). It was a much anticipated treat and this year I'm going to repeat it. When my grandchildren and children come to visit, I'll talk to them about my dad and how much we all looked forward to sitting in the living room cracking open our favourite nuts (mine were brazil nuts!). Mind you I can't participate in the eating since I'm allergic to nuts but I can still enjoy the time together. Some other ideas are to string popcorn to make a garland - did your family do this? How about making a special dish that your mom or grandmother made for a holiday dinner? Did you have a special book or story that you read every Christmas Eve? I'm sure you can think of something special in your family that you can introduce your children or grandchildren to. What do Genealogists want for Christmas? I bet many of you want the same items I want! So here's my Baker's Dozen Wish List. Print it and leave it lying around for your spouse or children to find. Pass it on to friends and family so they know what you'd like. 10. Jawbone JAMBOX This tiny powerful speaker allows you to connect via bluetooth to any other bluetooth enabled device (laptop, computer, iPhone, iPad etc) and play your favourite podcasts or listen to any audio with much better quality sound. I have one and I love it. 11. 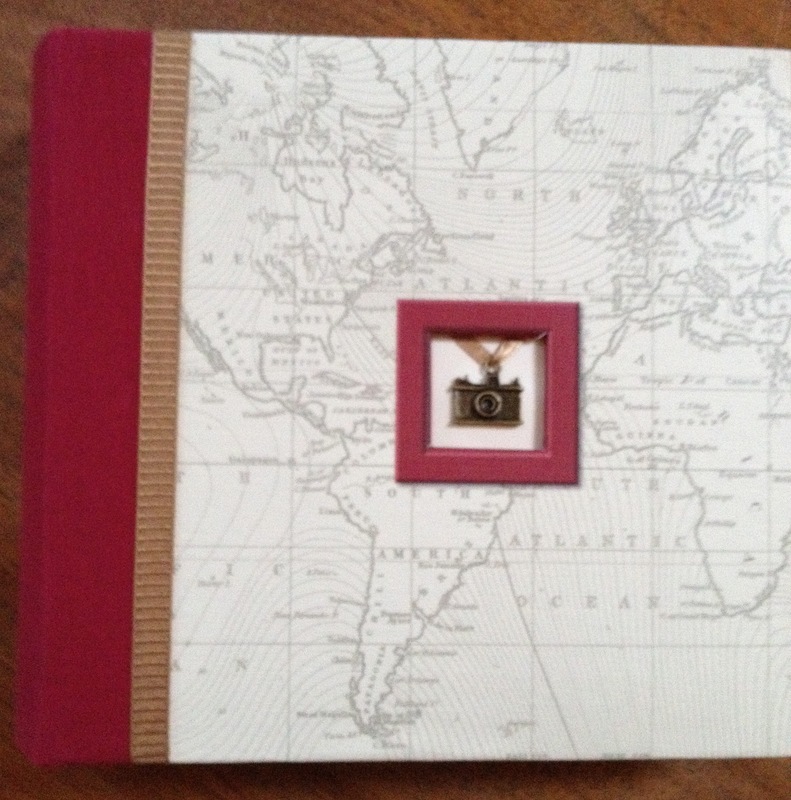 A beautiful journal for writing your own memoirs. I love Iona Handcrafted Books and have asked my hubby to buy me another one this Christmas as I'm on my last one. Tip: If the checkout won't accept a non-USA order, just email or phone as they do accept international orders. 13. And in blatant self-promotion, how about asking for one of the genealogy and history books I have written and published? 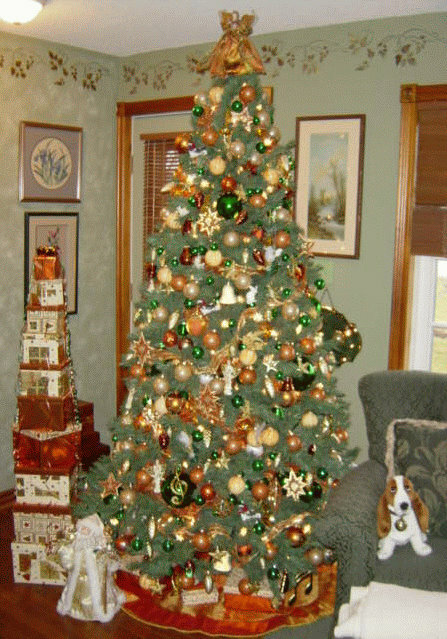 And there you have it - my Baker's Dozen Genealogy Wish List for this Christmas.